You need a simple forum or discussion board on your website? Simple Forum PHP script can be easily integrated into a page and fit the design of your website. Minimum requirements: PHP version 5.2 or higher and MySQL version 5.0 or higher. Current stable version of Simple Forum PHP is 2.4 (minor update - January 14, 2016). Updates log. Well designed admin area will allow you manage categories, options, preview/approve topics/replies. 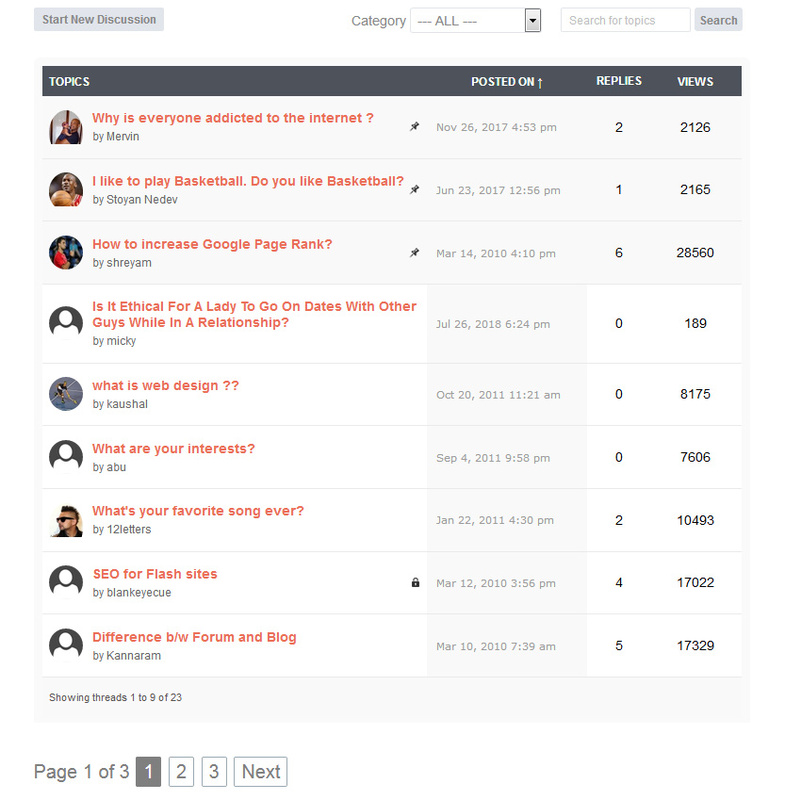 Categories will allow your visitors to set category of its topics. A drop down at the top will filter categories. Visitor will be able to search and find the exact topic in the list of results. Choose between 4 captchas on topic/reply form. Option for banned words will prevent submitting bad topics/replies. The owner of license may install the script unlimited times without restriction for the number of domains for a life time. Option to allow the most used html tags like <a>, <img>, <strong>, <center>, <p>, <h1>, <h2>, and so on. The script automatically generate RSS feed, so readers could subscibe and show your forum topics on their websites.